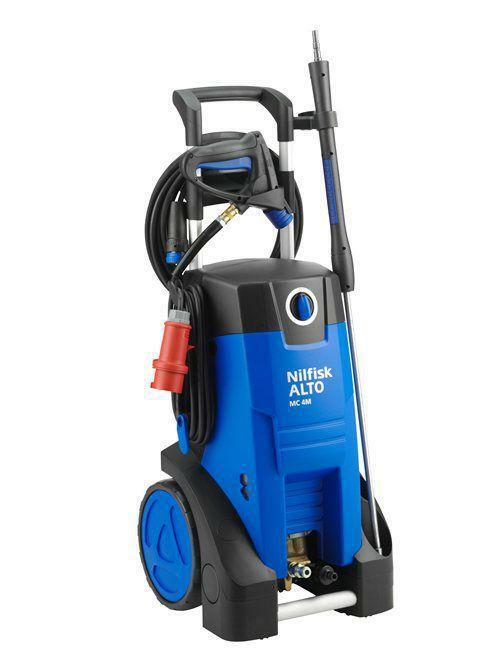 Mid range cold water high pressure washer with external foam sprayer detergent system. 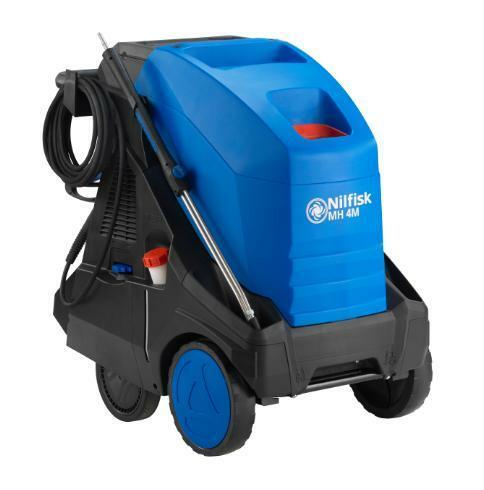 Designed for light, general cleaning tasks, the ideal choice for tradesmen, smaal building companies, small garages and farms. 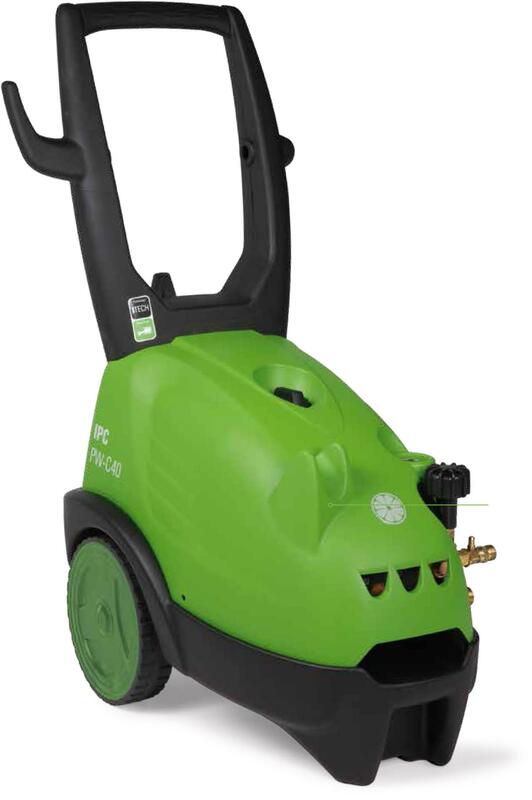 This range is equiped with a professional 1450rpm motor pump unit with ceramic coated pistons. 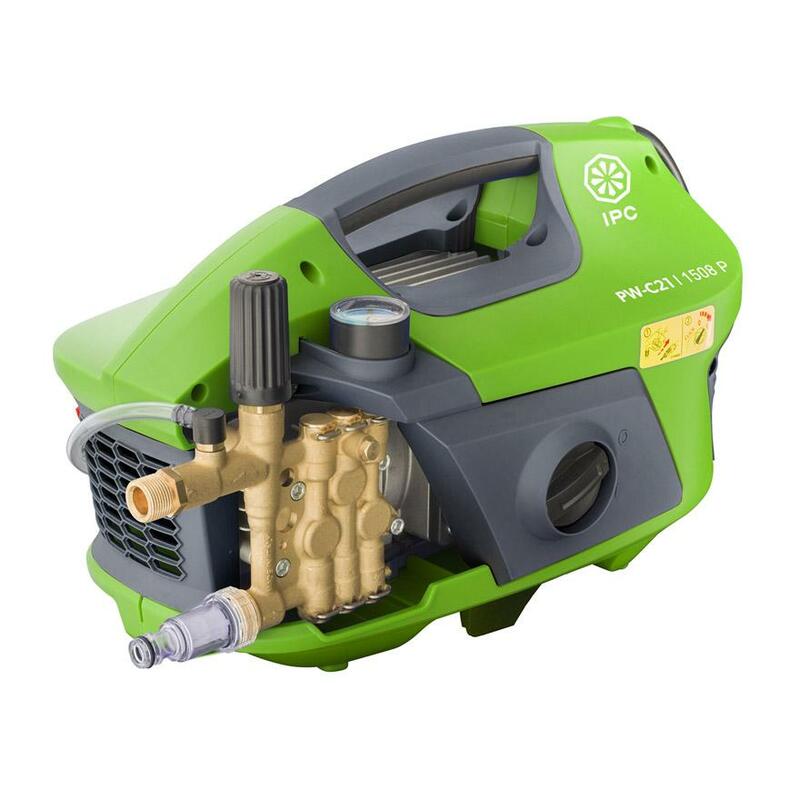 Developed for low to medium intensity use. 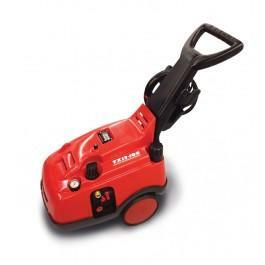 Powered by a 1450rpm high quality motor pump. Brass pump head and 3 ceramic coated pistons. Pump oil tank with oil level sight and fill/empty function. Easy opening and removing of cabinet for access to the pump. 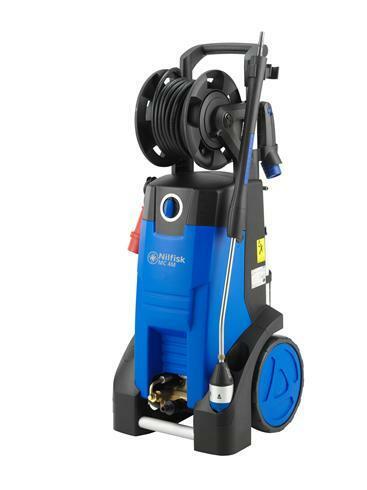 Innovative holder protects Spray Gun from damage during storage and transport. Turnable cable hook for easier removal and wind up of power cable. 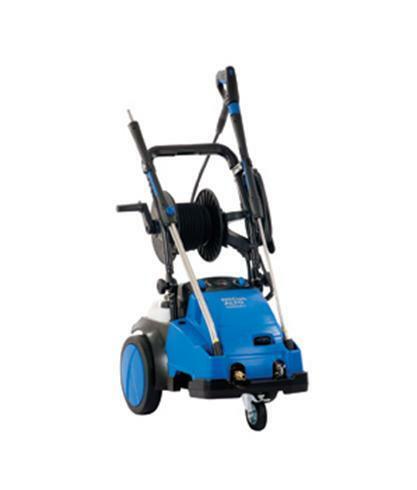 Robust design with larger 250mm wheels improves manoeuvrability over rough surfaces and steps.